We love our cats to pieces and can’t conceive of a life without them, but let’s be real, dealing with the whole litter box situation is no walk in the park. They’re stinky, they’re messy and they’re unsightly. 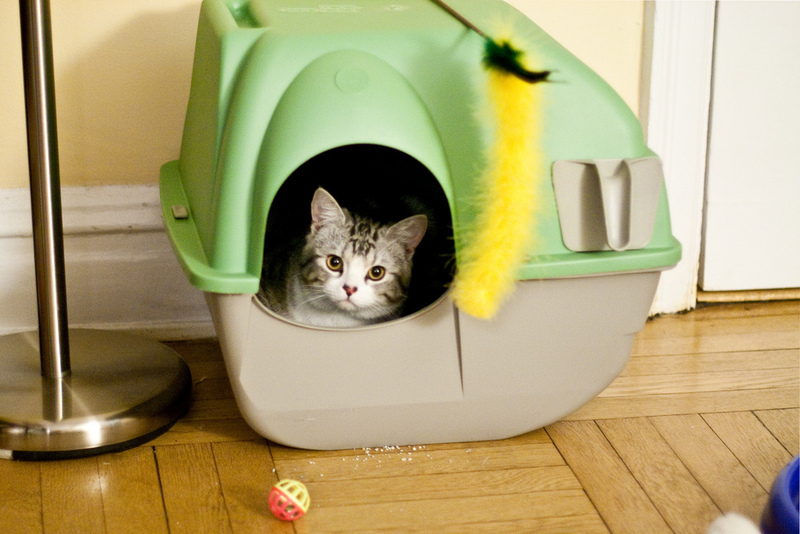 Even the domes that give our precious little pets much-needed privacy aren’t all that great to look at. But do ugly litter boxes really have to be the bane of our kitty-loving existences? The answer, my friends, is no. 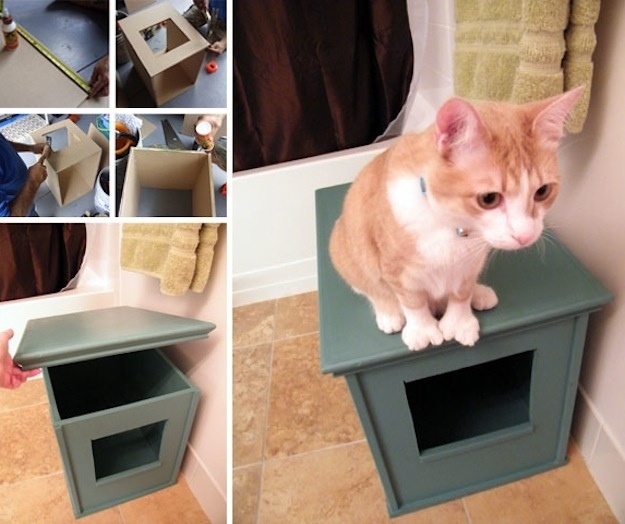 We live in a world of brilliant DIYers who have figured out creative solutions to the age-old litter box problem. We never thought there could be so many ways to beautify a box that is literally designed to hold pee and poo, but gosh darn it, there are. 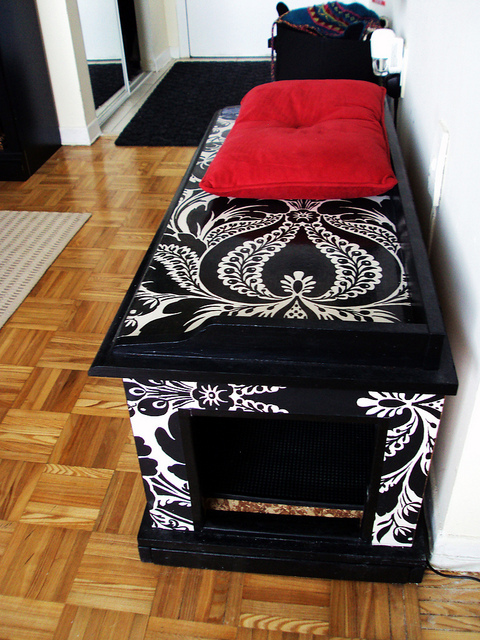 You would never know this gorgeous black and white hallway bench also houses stinky cat poop. Learn how to make it here. Is that where you keep your important business? No, it’s where my cat keeps its business! See how at MoCrafty. Nope! Bin for kitty’s dirtiness. But it could also easily act as extra shelf space in the bathroom. Or your cat may just dub it his bed. Full instructions at A Design Story. 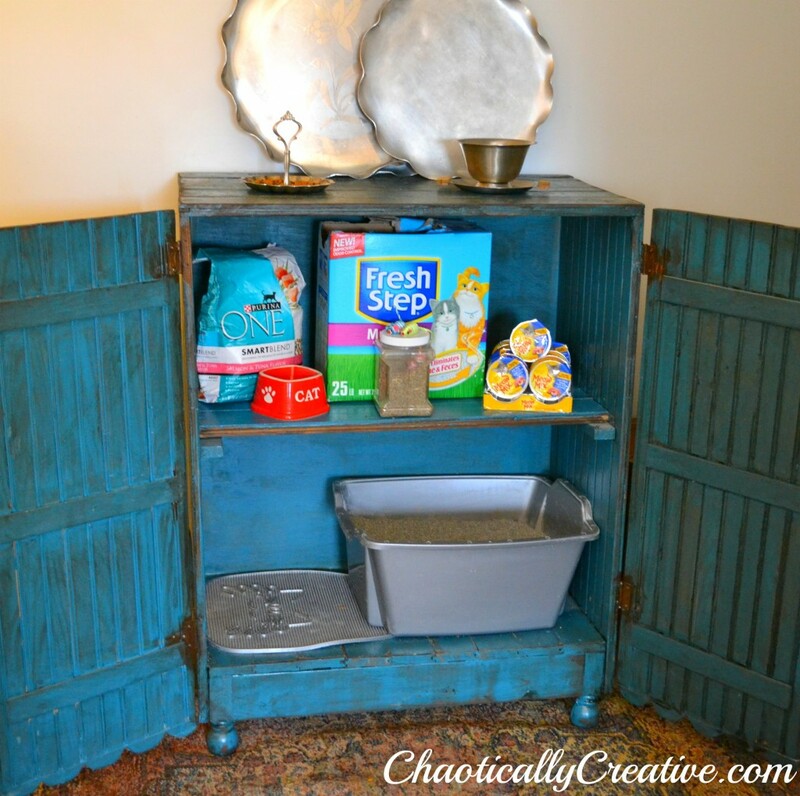 This one’s my favorite because not only is it an awesomely repurposed piece, but it’s got everything you need for cleaning all in one place. Definitely not for the beginner. Find instructions here.